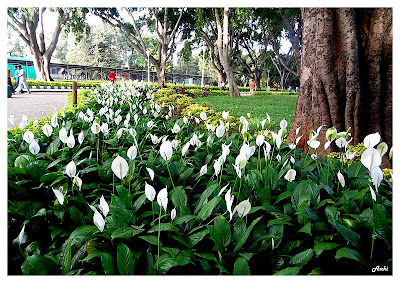 The ticket counter was closed,but the entry gate was open Lalbagh Botanical Garden remains open daily from 6.00 a.m. to 7.00 p.m. throughout the year.Also,6:00 am to 9:00 am is free parking,free entry.People living nearby would have been lucky as there were happy faces inside the park jogging, exercising,practicing yoga,and playing games. 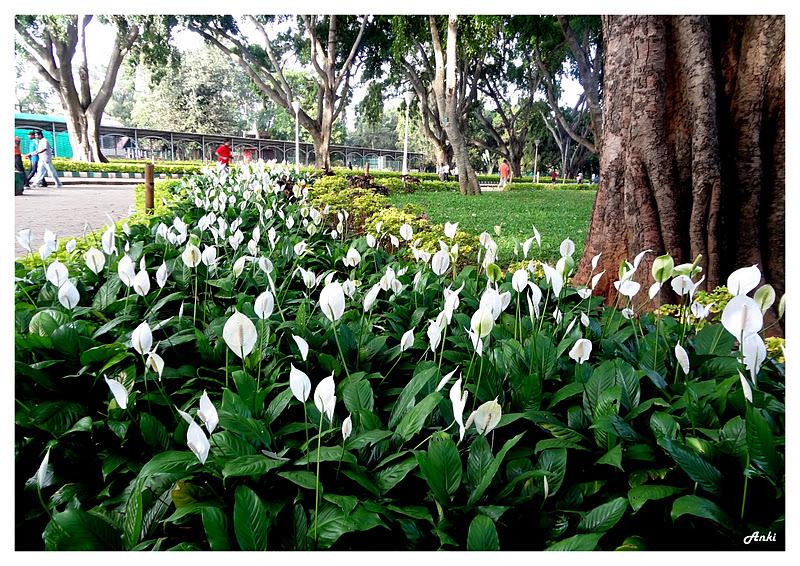 But let me tell you one thing that the park is not all roses,the entrance might misguide you to make you think whether this place would be actually worth it.The one entrance through which I entered wasn't impressive enough.Believe me,if you're into gardens,this one is one of the well-maintained. 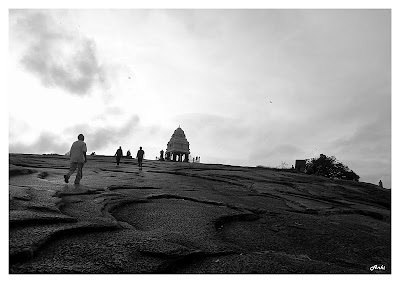 Lalbagh Botanical Garden is a huge park with many entry points as mentioned in "Wat Internet Says".I did see one of the entries beautifully decorated,the one which has hillock by its side. 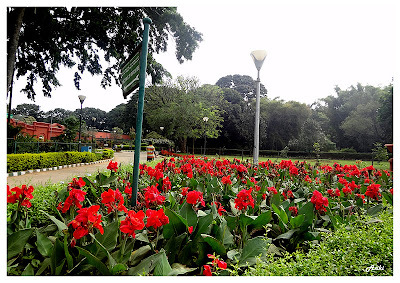 Clean trails and lovely flowers alongside.I started walking along the trail and I could see several tags on road leading to vegetable park,green house,horticulture institutes etc.It also has a famous glass house which hosts a yearly flower show. There's this board of fruit and vegetable processing unit,which got me a little curios,but let me assure you this tag is indeed misleading.May be they have forgotten this part altogether.I moved ahead,and I saw a temple along the hillock!Hillock in a garden,that must be unique, isn't it?The view from the top of the small hilltop makes you see the city skyline.I started walking ahead and I saw a few pigeons alongside the beautiful lake. There were several visitors,who had come here to feed the pigeons in the park.I had my share of fun as well.I moved ahead and I saw a place where there were variety of trees,all named,one that did attract me was the huge Christmas tree.Well,well Xmas around the corner and this one was one of the tallest trees I also saw.I saw a huge HMT watch made of leaves and flowers.This was Lalbagh botanical garden in a nutshell,well maintained ,peaceful and simple. 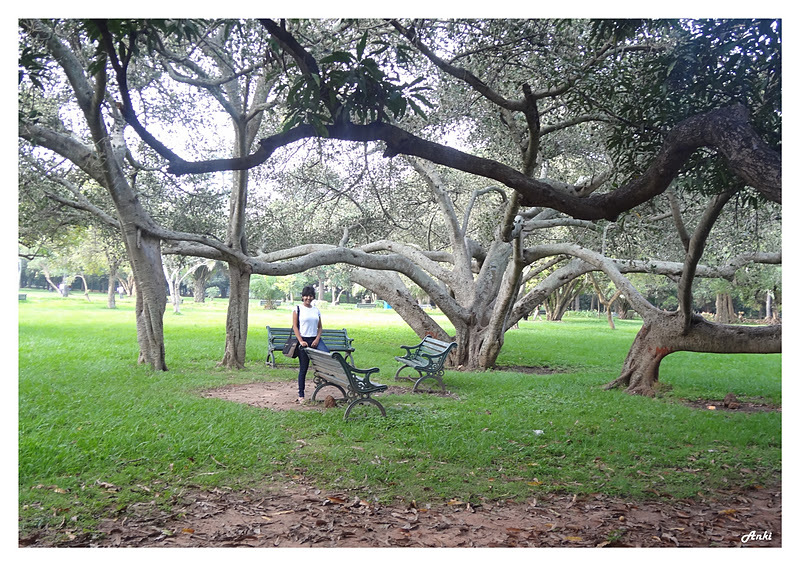 Advantage:Lalbagh Botanical Garden is an ideal spot for morning walks / jogs.Beautifully maintained,it shouldn't be missed if you have enough time in hand.There's a temple,there's a lake,there are different path leading to lovely trails. 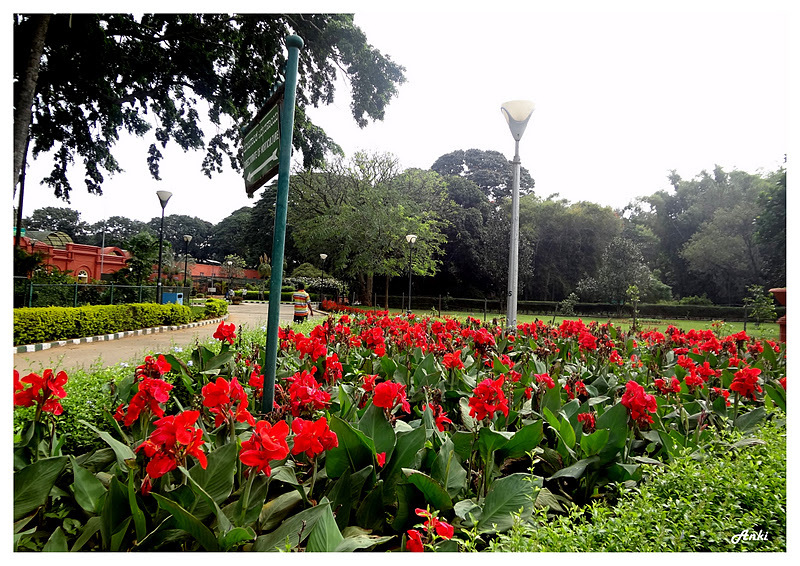 Disadvantage:I found the entrance to be least inviting.As the Lalbagh Botanical Garden is huge,there should be provision for hiring cycles over the counter as covering the whole park would be more easy.There also can be food joints. Connectivity:LalBagh is well connected by BMTC buses from Majestic/Shivaji Nagar. 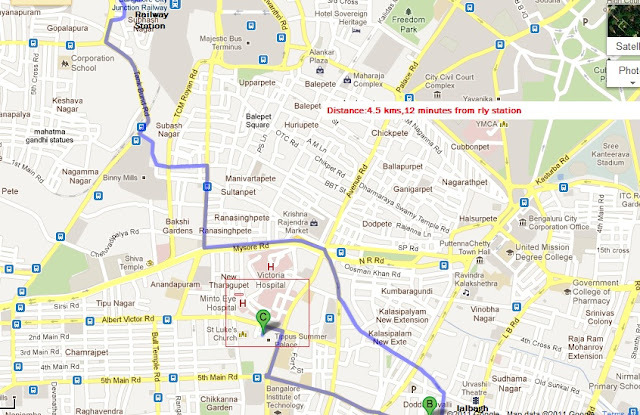 All buses towards Jaya Nagar/Banashankari areas pass through one of the four gates of Lal Bagh.